This entry was posted on August 12, 2011 at 6:41 pm and is filed under 1980s, 1982, freestyle, new wave, pretty poison, synthpop . You can follow any responses to this entry through the RSS 2.0 feed You can leave a response, or trackback from your own site. Awesome! 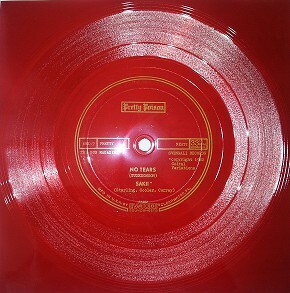 What about the original 12'' for Nightime from 1984? Is that anywhere to be found? Such a great cover of an amazing classic! Thanks for posting this! I've got the Laced 12" and the Expiration 7" but had not been able to find this flexi, nor their first 7"…hopefuly someone will come through with that first 7", as I would also love to hear that! I just discovered your amazing blog as a former fan of Little Nemo, Mary Goes Round, Asylum Party, Trisomie 21… ("former" in the sense that I'm still here and not them…). Thank you very much! I used to hear this ALL THE TIME at The Kennel Club on Walnut St. in Philadelphia, and I've been looking for an mp3 of it for years! Never heard this cover before. Love it. When are you going to post "Catch Me I'm Falling" by this band after they learned to play? (Just kidding, of course).